The silver-grey walls of the Godown Arts Centre, a sprawling converted car- repair warehouse that offers a home to many of Nairobi’s most creative minds, usually feature a rotating cast of murals celebrating sports stars, freedom fighters and screen sirens such as the Oscar-winning Kenyan actress, Lupita Nyong’o. In recent weeks all those figures have been overshadowed by the likeness of one man. At the gate a whole section is taken up by a full-face painting of US President Barack Obama looking into the distance and wearing a wistful expression. 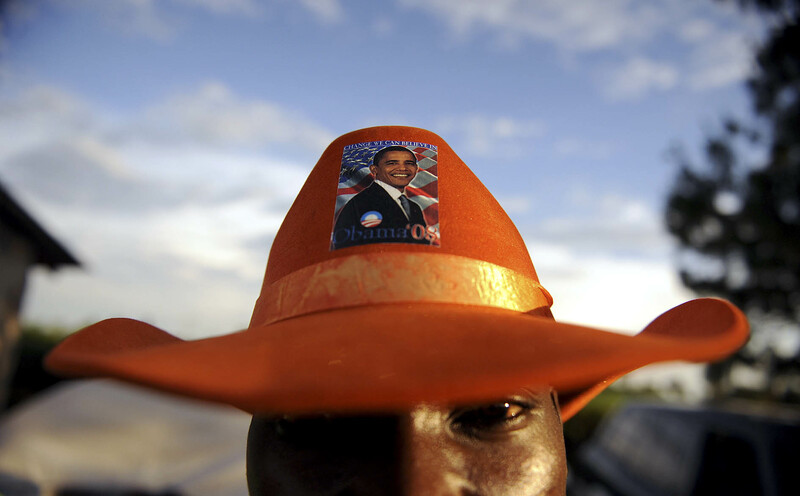 Kenya is in the grip of Obama mania. For weeks, newspapers have led with numerous articles describing preparations for the trip at the end of the month and analysing its importance. Roads have been relaid, streetlights fixed, billboards erected and the highway between the airport and the central business district boasts a new garden — although social media users have been quick to note, witheringly, that the newly planted flowers are unlikely to have blossomed before Obama arrives. It is hard to overstate Obama’s popularity in Kenya, the land where his father was born, and in the rest of sub-Saharan Africa, one of the few places where his reputation has remained undimmed through the course of his presidency. Yet his visit to Kenya will also highlight the changing dynamics of the relationship between the West and a continent that has grown more assertive with improving economic fortunes at a time when new powers, especially China, are making a big play for prominence in Africa. At the airport, Obama will be received by Uhuru Kenyatta, whose presidential bid Washington semi-openly campaigned against because, at the time of the election in March 2013, he was facing indictment at the International Criminal Court for his alleged role in post-election violence that rocked the country at the end of 2007. The case has since been withdrawn. The election of Kenyatta and his deputy, William Ruto, was seen as an embarrassment for Western envoys who had warned the electorate that “choices have consequences”. Their entry into office led to a deepening of Kenya’s relationship with China and strained ties with Western allies. Some analysts say the rise of China has seen United States administrations grow averse to criticising the governance and human rights records of governments in Africa. Campaigners complained that a summit of African heads of state in Washington last August focused on trade and security with little discussion of human rights, and many will be watching to see how Obama, whose strong words against official corruption in Kenya on his last visit as a senator in 2006 stirred a ruckus, will handle the issue. Scott Gration, a former US ambassador to Kenya who grew up in East Africa and was an early supporter of Obama’s presidential campaign, says Obama remains a champion of the good governance agenda but argues that US dealings with the continent have to reflect shifting dynamics. Beyond the complex calculations of various actors, including some evangelical pastors and conservative MPs whose demands that Obama not advance the gay marriage agenda have stirred national debate, most Kenyans are simply happy to host a man many see as one of their own. Nowhere is the excitement at a greater pitch than in K’Ogelo, the village in Siaya, a county on the fringes of Lake Victoria, where Barack Obama Senior grew up. Musa Ogilo (67), a maize miller, said the area had witnessed a quick transformation since Obama became president, citing the levelling of roads and extension of the electricity grid to the village by local authorities. But he called on Obama to build a proper hospital in the village, illustrating the fact that many Kenyans struggle to distinguish between the president’s duty to US citizens and to the land of his father’s birth. Commentators say the excitement surrounding the visit may cloud the main objective — the global entrepreneurship summit, which the White House describes as an effort to gather entrepreneurs and investors from around the world with the aim of spurring economic opportunity. Despite its ethnicised and occasionally violent politics — and the growing menace of the al-Shabab terror group, which has carried out attacks and triggered fears it might try to disrupt the visit — Kenya boasts one of the best-developed middle classes on the continent and has proved a big draw for US and European investors in recent years. It’s a view echoed by Chad Larson, one of three co-founders of one of the most successful enterprises driven by the growth of mobile money transfers in Kenya, M-Kopa. The business, incubated in part in chats between Larson and fellow students at Oxford University, sees users pay a deposit of about $35 for a solar system worth about $200 before settling the balance using mobile money transfers over a year.